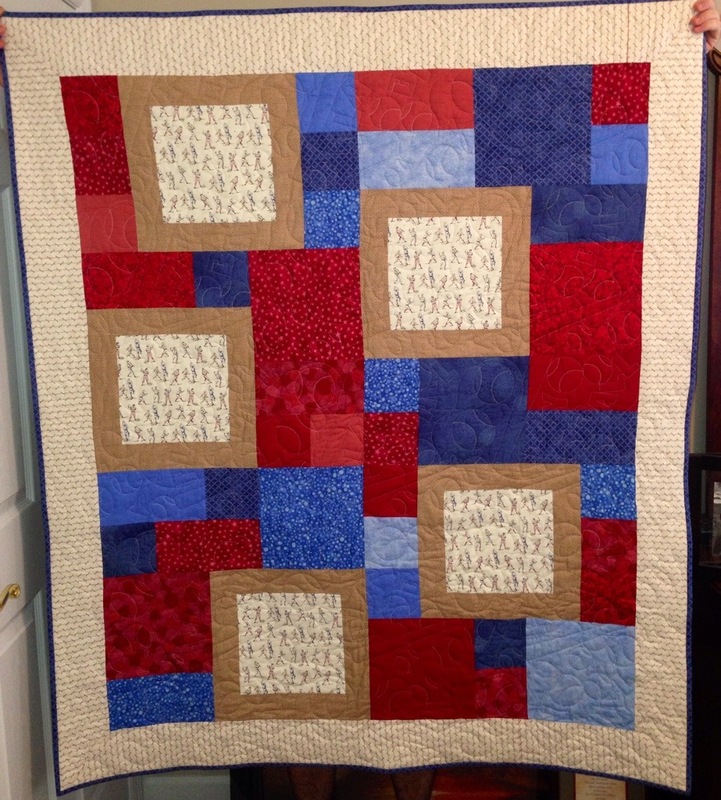 I’m not sure why but I always find myself binding a quilt in the summer when it’s 100 degrees outside. Typically… It’s my fault: poor planning… But this year we had an unexpected arrival. I am now a proud aunt of a beautiful baby boy. His shower was today and it was adorable. All baseball themed. 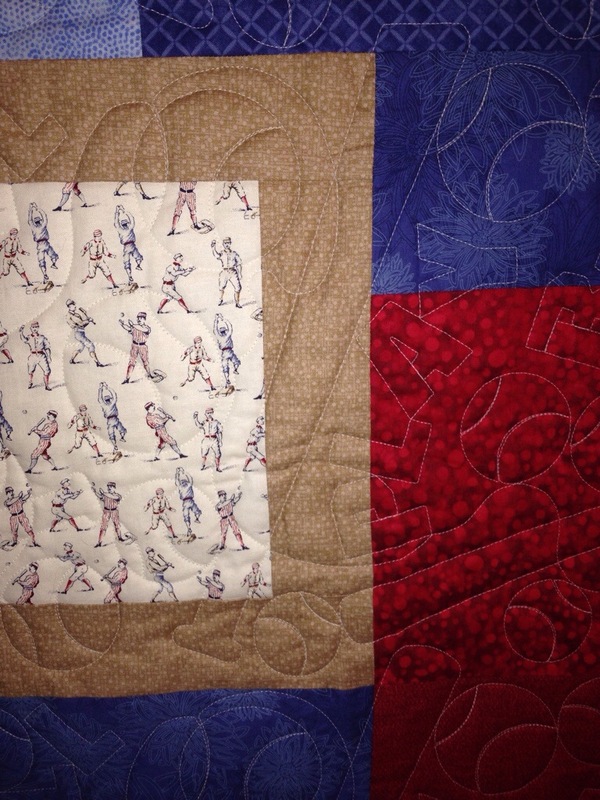 Thanks to Karen for getting it quilted so fast and Mamie for the baseball fabric. It turned out great!